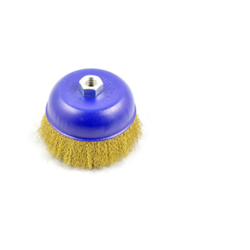 We are engaged in providing a wide range of Cup Shape Brush to our clients. Size: Diameters include 3", 4" and 6". Bridled cup brushes 4" and 6" only. 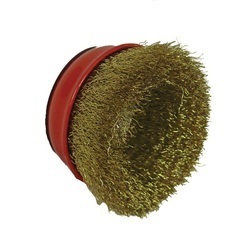 These Cup brushes come in various sizes in Brass bristles with spindle, size from 1/2" onwards. We are one of the renowned firms that present an extensive series of Osborn Cup Brushes that is available in diverse sizes and designs.